Watchva has introduced a new way to stream live video for free and get paid. 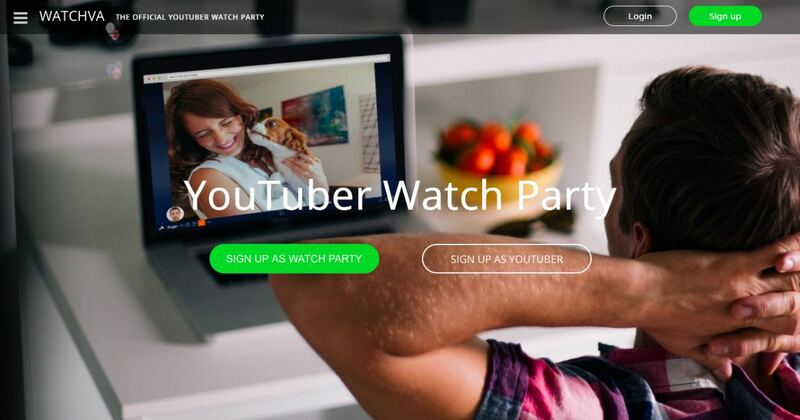 The platform has been created for bloggers, vloggers, youtubers, and creators alike. Its free to join and try out. DALLAS - Aug. 5, 2018 - PRLog -- There are many websites that allow you to stream live video but it comes with a cost. If you are willing to pay for a streaming service, then this article is not for you. But if you are looking for a platform to stream live videos, host events, and get paid, then stick around and see how a website like Watchva.com can work for you. It's absolutely free to sign up and try out. If this doesn't tell you that you should start streaming live video, then I don't know what could. But if you are ready to start streaming live video to your audience, and actual get paid for your event(s), here's how to start. Bloggers would sign up at www.watchva.com, and create a profile. After creating your profile, you will now be able to create your first event. In the side menu, you would select "create an event". You would then title your event, schedule a time, specify price per person to attend your event, create a description about what to expect, then post your event. Watchva makes this process very user friendly and easy to use. Before the event, you would be able to access the actual live stream and test it out yourself before the time of your event. All streams will be accessible through your profile page or the upcoming events tab. Users that want to attend can preview and/or book a seat for your event. This would give paid users access to your live stream at your scheduled event time. When the event is over, Watchva takes about 4 days to process the payout for your event. You can also use our payout calculate to estimate how much you would make from the event here: www.watchva.com/payout_calculator. This will calculate your payout depending on the number of viewers, length of your stream, and cost per person to attend your event. You will see your payout total after expenses at the bottom of the payout calculator. Also note that this is for the actual live stream event itself, and not the recorded payout. Once you live stream to your audience, your live stream is then posted on your Watchva profile for viewers to watch as a rerun. Reruns still cost to the viewer, so this would become another stream of revenue for you. Bloggers can follow how much they are making, number of viewers, payout per event, and more in their Watchva account. You would also withdraw your earnings here as well. I hope this article helps you stream live video to your audience and start getting paid.